Ai Editorial: Flirting in aircraft or points for quality sleep – what entices you? There aren’t many great examples of airlines sending over messages that resonate well with travellers. Irrelevant emails that are all about sale alerts or handing out passengers a form to become a loyalty program member without explaining them what are they being given are most annoying. Akin to handing out napkins suggesting passengers give their name and number to their “plane crush”, an on-board initiative for which Delta and Coca-Cola issued an apology, too. One airline in India, in operation for more than 14 years that I haven’t flown due to a couple of bad experiences, continues to send emails with exclusive offers that remain inapt. 1. Every interaction counts: Every message or interaction, be it for an ad, email, an offline interaction etc. at the airport etc. counts. In an era, where companies are looking at understanding a traveller’s intent/ emotion from both digital and offline interactions, being off the mark with an ad or digital experience isn’t done. Also, it is laborious to go deeper into serving across different phases of a journey, but airlines have to be ready to serve the traveller. Rather than just placing a napkin that paves way for matchmaking, how about using means – be it for via single view of the customer or empathizing by any method to understand the traveller. What if a traveller, who is extremely tired after connecting a flight, is informed about the serving of the food? This sort of messaging/ interaction counts a lot. “Experience needs to be less frustrating,” says airline and hotel loyalty expert, David Feldman. “When there is an intersection of attitudinal (revolves around delivering superlative experiences and has strong ties into customer support) and behavioral loyalty (might not be a true indicator of one’s satisfaction level, is whether or not customers act loyal by opting to book the same brand), it results in an emotional level of connection. And that’s a sign of true loyalty. A brand has to excel and serve appropriately across a gamut of touchpoints,” highlighted Feldman. · It’s not just about digital, even though customers are extensively using digital channels, devices, and habits have developed around them. “We are all analog creatures living in an increasingly digital world,” stated the post. · To do personalization right for CX, it is essential to be “outside-in,” which means understanding and meeting customer expectations and measuring the impact to the customer. 3. Being a part of a lifestyle: There is constant discussion around how travel being an infrequent buy for a majority of leisure travellers needs to figure ways to be a part of one’s lifestyle – be it for inspiring them for their next holiday, letting one accrue miles/points for their grocery shopping etc. What if a travel brand even goes beyond the booking funnel, and becomes an ally for integral aspects of daily routine. Qantas took a striking step in this direction this week. 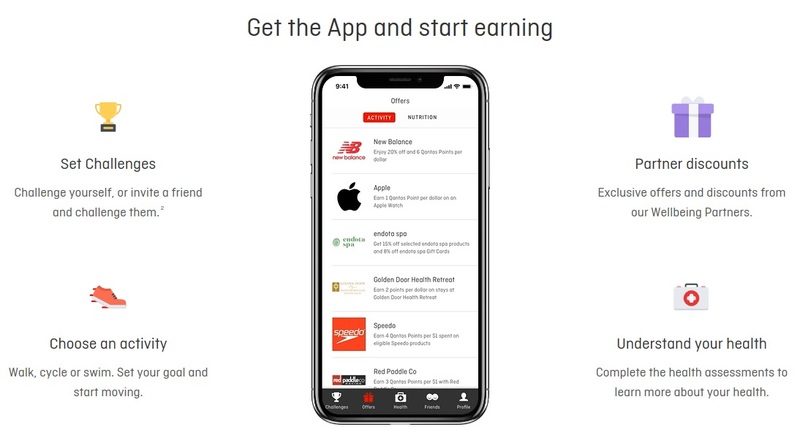 The airline’s frequent flyer members are being an option to earn Qantas points while they sleep using the Qantas Wellbeing app. Rather than pushing messages on app/ sending emails that are devoid of any meaningful offering (for instance, what’s the point in sending offers that aren’t based around the search on the app or the site? If a traveller is searching for airline’s destination content, then how about stitching 1st party data from various sources and coming up with an offer?) or worrying about how many times a mobile app is opened, it is time travel brands genuinely look at building affiliation so that they become a part of one’s lifestyle. By encouraging healthy sleep and lifestyle habits, Qantas is going beyond its commercial association. The free Qantas Wellbeing app is about – setting bedtime routine, prompts flyers to track how they feel upon waking, assess how better sleep practices affect their mood etc. The app has been developed by Qantas Health Insurance (downloaded over 400,000 times). Once a brand keeps on adding value, with such assiduous approach, it can only improve upon their understanding of travellers.